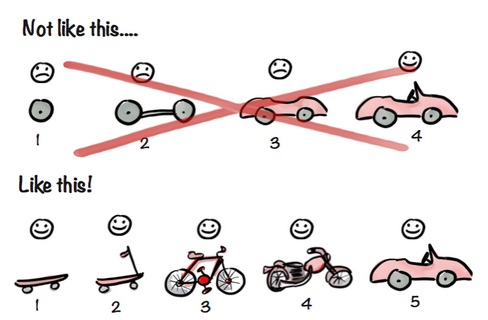 Building a product is incredibly difficult. There are so many complexities and challenges. Most people think of good prfoduct ideas all the time. However thinking of it is one thing, executing on it is something else. Because of the complexity of the task, most people never even get started. This is a real shame. Releasable is a keyword here because the MVP has to be a product in itself. So like in the image above, you can't just release a wheel*. Instead your MVP must be usable. Its important to put just enough in the MVP. Too many features and you end up putting too much work before you can validate it. Too little and its, well its not viable. Remember that an MVP doesn't necessarily mean low quality. Instead of thinking of the MVP as a lower quality pie, you can think of it as a slice of the entire pie. Of course in reality probably less quality because you don't want to spend your time polishing (decorating) that slice of pie. So you want your polishing to be just enough. This will depend on your product (some products, like perhaps creating a "how to make a beautiful website" tutorial, will require more polishing at the start). Good. 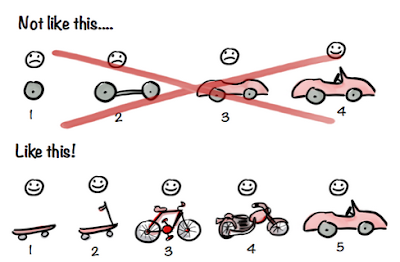 From there even creating an MVP can be quite daunting. You need to break this up into tasks. 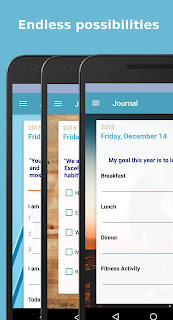 I personally use Trello to manage my tasks. I start with a card for each high level component. Then I start working on the card I'll remove that card and make more cards for each specific chunk of work. Each card should take about 1 hour to do. If it is more than that it can be reduced. If you find yourself arguing that a card can't be broken down into a smaller chunk and it will take a day to complete, just ask yourself what you plan to do in the next hour. Good, that can be a card. Then the next hour can have a different card. It sounds a little tedious but its important to do this breakdown, otherwise you risk the project being to complex and you not completing the project because of the complexity. All of this isn't rocket science but you'd be surprised how effective it is. I see too many people not defining MVPs and thinking that they need to spend an entire year before releasing. At the same time so many people fail to get their prototype out while working a job. Life doesn't give you huge chunks of time, so you need to break tasks down so you can tick them off one at a time when you have spare time. * well, unless your product is a wheel in itself. Either for other companies to turn into cars or for spares.